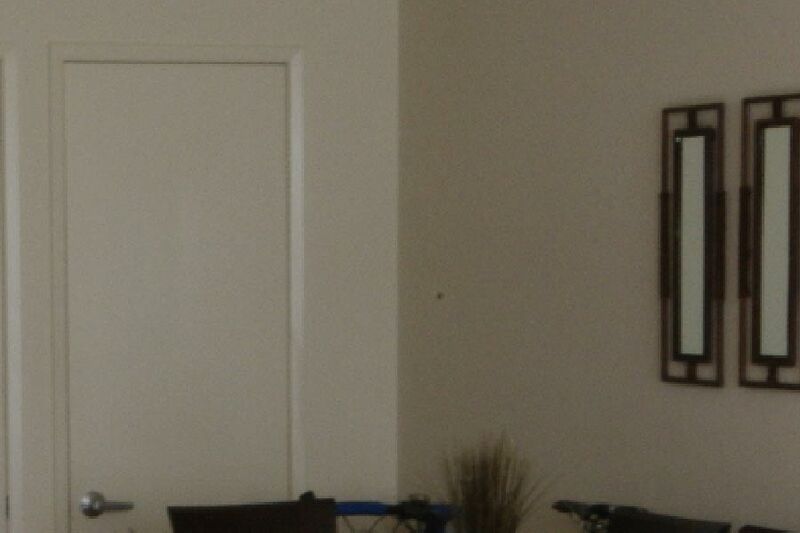 I just noticed this dark spot on all my photos when zoomed in. Is this dust on the K7 sensor or mirror. I used the dust alert function on the k7 with the lens cap on but the shot came clean white with no dirt or sport anywhere. I wonder what is causing this. Also tried the blower to remove any dust but I'm still seeing this spot. What do you suggest. Where do i look and How do i clean it. What aperture did you take that at? Have you tried to use another lens and see if the same thing happens? Sure looks like dust. I have a K20D that has the dust alert feature and the way it's done on that body is pointing the camera at a white wall or clear blue sky with the cap off. Check your instructions. Do you have a Rocket blower or a small lens cleaning blower? That almost always does the job for me. If not you may have to look at one of the swab cleaning methods. I would think that doing a dust alert against a dark background to see a dark spot of dust would be counter-productive. Also keep in mind that the mirror flips up out of the way when the shot is taken. If the spot shows on the same place for all shots, it'll be dust on the sensor. Yes i tried another lens, same issue. I also tried the dust alert function against white background and i see no dust. This tell me the sensor is clean. The next thing i did is put the camera in live view mods and pressed the AF button couple of times to zoom in. I found the spot in the live view mode before even taking the photo. Does this mean it's the mirror that needs the cleaning. Nope nothing to do with the mirror. In fact it flips out of the way during LV. Dust alert does not catch everything. It's dust on the sensor. If you don't have a rocket blower, you need to get one and give it a good cleaning in a clean area. I use canned air but have been warned not to get propellant on the sensor so i start my spray away from the camera and then short bursts from a few inches outside of the lens mount so as not to freeze the sensor either! I tried the rocket blower, spot is still visible. I can seem to locate it on the sensor. If it's a stubborn dust, i don't know how it got there. I very rarely change lenses. What other methods are there. Make sure you are putting the camera in clean mode that way it will lift the mirror out of the way so you can use the rocket blower and actually blow air on the sensor. Otherwise, you are just blowing air on the mirror. Yes i'm putting the camera in sensor cleaning mode so sensor is exposed. the same is done when LV is pressed, the sensor also gets exposed. I constantly used the blower for the passed few minutes. No results. i can't see any dust on the sensor. Maybe it's too small. I never changed the lens outside. That is definitely dust on your sensor. I hate to be the tired old horse that whinnies, but while everyone yips about Rocket Blowers, I just shoot my sensor with canned gas when I need to and I never have either dust or a broken camera. Seems like i need to find other methods of cleaning the sensor. Blowing is not working. The sensor swab is a pretty good way to go. Or try the Lens Pen. Either way, don't freak out after you've tried your first swab and everything looks blurred and worse, it takes a few of them to get all of the dust off. Pretty much every sensor is going to have dust on it though. I used a swab on some stubborn dust. 1st time was a very nervous affair but surprisingly easy after all.